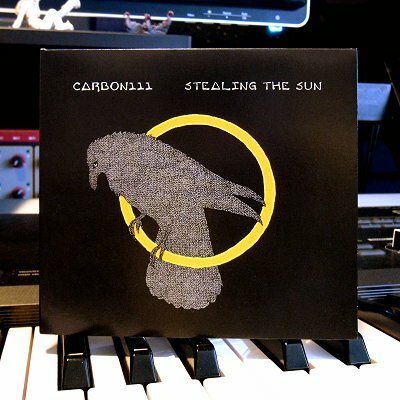 Carbon111: Stealing The Sun - finally here! Stealing The Sun - finally here! Well, it's been a long road from March 2009 when I started this project but Stealing The Sun is finally released. Cheers! Stealing The Sun is the album I've been wanting to make for the last ten years. Filled with a wide spectrum of synth textures and embellished by my voice, it's an exploration of epiphany and change viewed through the lens of modern electronic pop. Diverse elements like the mythos of H.P. Lovecraft, Native American traditions and Greek mythology combine into something strange, personally engaging, and hopefully "greater than the sum of its parts"
The CD and Digital Album is currently available through Bandcamp.com though CD Baby, iTunes and Amazon will soon follow. 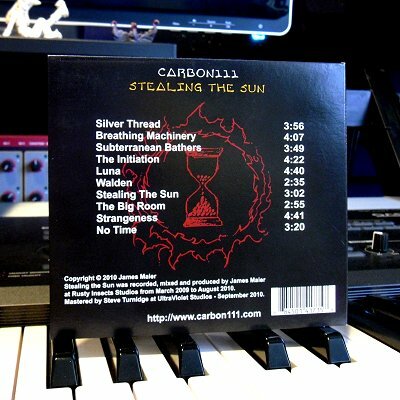 The above streams don't really do it justice as they are only 128k mp3s - higher quality MP3s as well as FLAC downloads are available in addition to the CDs: http://carbon111.bandcamp.com/. Please note all CD purchases get a free instant download in the medium of their choice so you can enjoy the album while waiting for the CD to hit your mailbox. 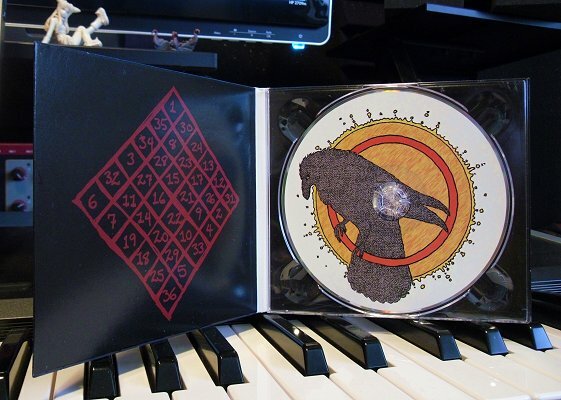 Stealing The Sun is packaged in a four panel digipack. All the artwork is by yours truly. Silver Thread - Ensoniq Fizmo and Waldorf Q provide backing pads, Korg Oasys is bass and string sounds while Digidesign's "Boom" provides percussion. Breathing Machinery - Korg Oasys does Piano and Wave Sequencing, Weird Pads are NI's Absynth and, except for some clickety bits from Digidesign's "Boom", all the Drum Sounds and Rhythm Beds were done in NI's Absynth. Subterranean Bathers - Ensoniq VFX is the voxy pad, Korg Oasys is piano, drums and everything else. The Initiation - Lead Drones are from the SCI Prophet 600, Piano is Nord Stage, Pads are provided by Nord Wave, and Metallic Stabs and Drums are Korg Oasys. Luna - The Nord Stage is on "distorted lead", Nord Wave on "grungy Santur" and Oasys on drums and "ambiance". Walden - Waldorf Microwave XT is synth lead, Nord Stage is all pianos, Absynth4 and Alchemy provide ambient beds and Korg Electribe ES-1 is drums. 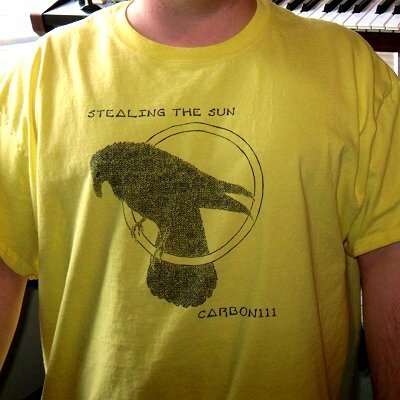 Stealing The Sun - All pianos and synth sounds are Nord Stage, drums are Korg Electribe ES-1. The Big Room - Sync lead is Nord Wave, Grungy synth organ is Nord Stage, Pads are Korg Oasys and Drums are Digidesign's Boom. Strangeness - Drums are provided by Korg Electribe ES-1, everything else is Waldorf Q. No Time - All sounds provided by the Korg Oasys.